Robots To Redefine Role Of Teachers In The UK? 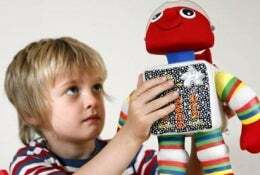 Academics at the [British] Institute of Education who undertook an evaluation in three schools concluded that the robot "makes learning fun" where used appropriately. Children seemed to love it but teachers were "less inclined" to allow the robot to take the whole class. Dylan Wiliam, acting head of the institute, says: "The research on the use of such technology shows that when it is well-designed it can actually be better than teaching even by the best teachers." ...But some child experts expressed concern. Sue Palmer, author of Toxic Childhood, said: "Robots can't teach. The only effective teaching is by breathing, living teachers who can look a pupil in the eye and respond to them." Red is having a bad day. Sometimes he forgets which book he's reading. Sometimes his mind drifts and he goes quiet in the middle of one of the exercises, which are designed to be perfectly in tune with what Charlie and Roxy are learning at school. Usually there would be a teacher or assistant to sort the problems out but we all look at the robot a bit disappointedly. "I'm bored," declares Charlie. What's good about Red? "He's red," says Roxy. What's bad about Red? "He doesn't work," says Charlie.